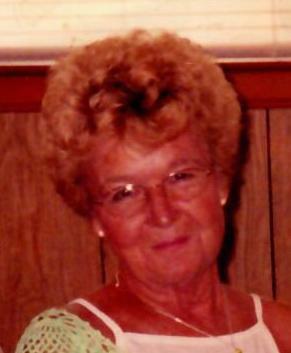 Dorothy Litherland, 82, passed away April 13, 2019 at her home. Born June 12, 1936 in Tell City , Indiana, she was the daughter of Russell and Marie Brunner Stephens. She was united in marriage on June 12, 1954 to Ralph Litherland. Dorothy was a graduate of the class of 1954 of Tell City High School. She was a homemaker and enjoyed sewing, lawn work, sports and NASCAR. Preceding her in death are her parents; her husband, Ralph and a daughter, Kathy Diamond. Surviving are her sisters; Wanda Brinksneader and Linda Pannett both of Tell City and several nieces and nephews. Funeral services will be held at 1 pm Tuesday, April 16 at Zoercher-Gillick Funeral Home with burial in Greenwood Cemetery. Visitation will be from 3 – 7 pm Monday, April 15 and from Noon – 1 pm Tuesday at the funeral home. Expressions of sympathy may take the form of donations to the Perry County Animal Shelter.